enjoy the talk: focus on Bayes, get code later! $ P(H|D) $: Probability that the hypothesis is true given the data. 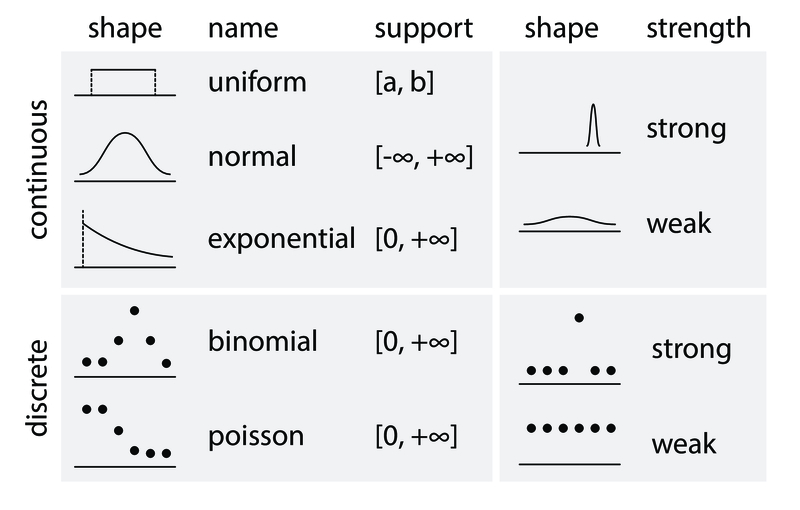 $ P(D|H) $: Probability of the data arising given the hypothesis. $ P(H) $: Probability that the hypothesis is true, globally. $ P(D) $: Probability of the data arising, globally. 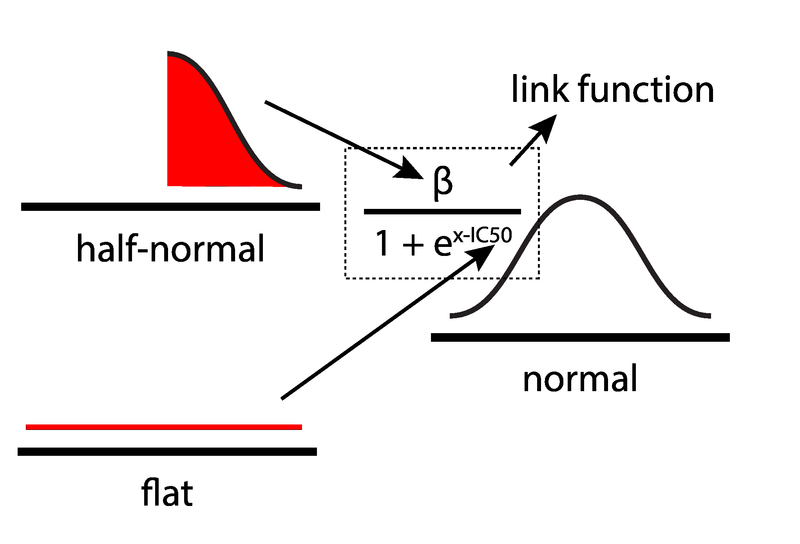 Bayesian statistics was infeasible because of complicated integrals needed to compute posterior distributions. 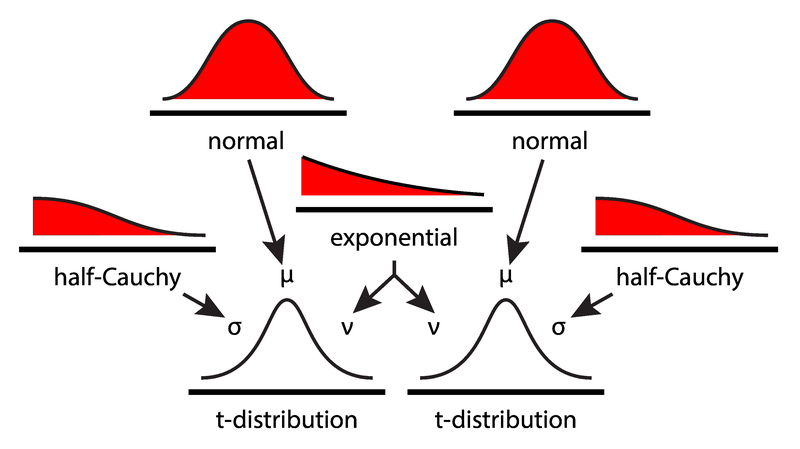 Markov Chain Monte Carlo (MCMC) sampling enables us to estimate shape of posterior distributions; calculus not required. parameter estimation: "is the true value equal to X?" comparison between experimental groups: "are the treatments different from the control(s)?" "is the true value equal to X?" "given the data, for the parameter of interest, what is the probability distribution over the possible values?" I tossed my coin $ n $ times, and it came up as heads $ h $ times. Is it biased? "I want to know $ p $, the probability of tossing heads. Given $ n $ tosses and $ h $ observed heads, is it probable that the value of $ p $ is close to $ 0.5$ , say, in the interval $[0.48, 0.52]$?" # Make the data needed for the problem. # Distributions are PyMC3 objects. # Specify prior using Uniform object. # Specify likelihood using Bernoulli object. 95% highest posterior density (HPD) encompasses the region of practical equivalence (ROPE). (optional) with new information, modify model structure. I have a newly developed molecule X; how good is X in stopping flu replication? 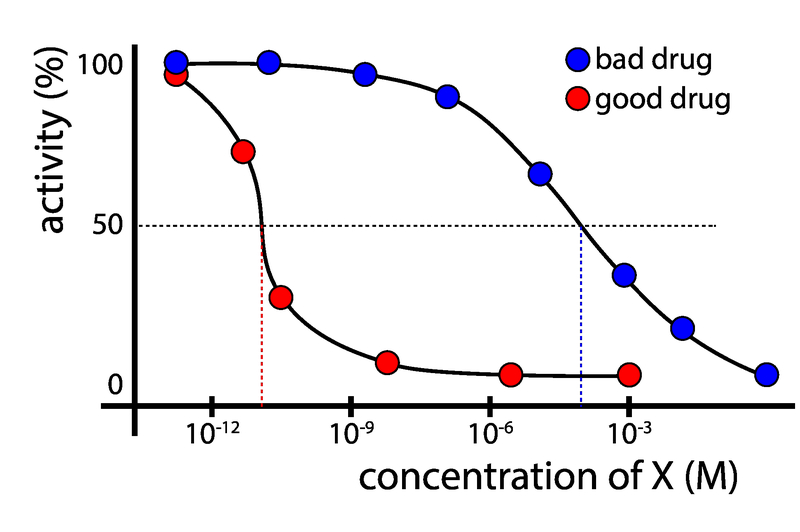 compute IC50: the concentration of X that causes the replication rate of the virus to be halved. given the data, what is the IC50 value of the chemical, and the uncertainty surrounding it? # MATH WITH DISTRIBUTION OBJECTS! pm.traceplot(ic50_trace[2000:], varnames=['IC50_log10', 'IC50'])  # live: sample from step 2000 onwards. "are my experimental treatments different from my controls?" does a drug treatment affect IQ scores? # between the two treatments? # Focus on the use of Distribution Objects. # passing objects into other objects' parameters. Forest plot: 95% HPD (thin line), IQR (thicker line), and median (dot) of the posterior distribution on the same axes, allowing us to directly compare the treatment and control. Effect size (Cohen's d, none to small, medium, large) could be anywhere from essentially nothing to large (95% HPD [0.0, 0.77]). Improvement in IQ is 0-4 points. The drug is very likely inconsequential. No evidence of biological significance. compared to two commonly-used treatments, do my "fancy methods" sterilize my phone better? randomly assign phones to one of six groups: 4 "fancy" methods + 2 "control" methods. # Reload the data one more time. # Sort the data according to the treatments. # Change dtypes to int32 for GPU usage.